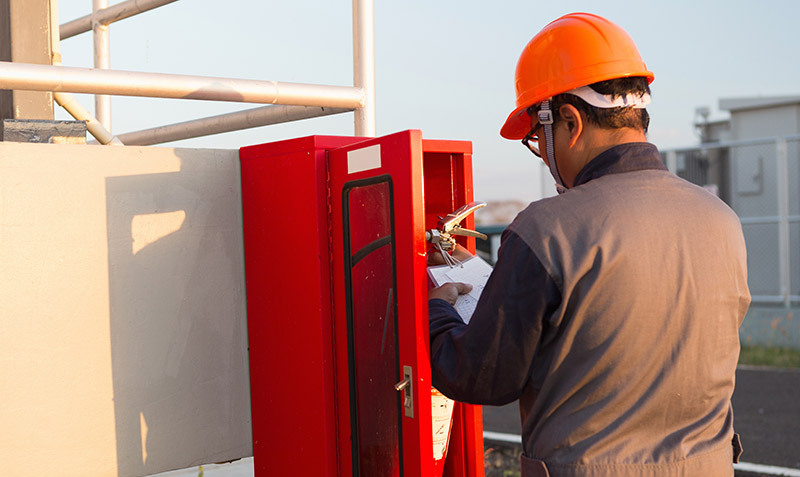 Regular preventative maintenance by a trained system specialist is critical to making sure your fire and security equipment is always at-the-ready. As with any other system, electronics and components can degrade over time and compromise the system operation. Contaminants like dust and dirt can also cause problems and lead to failures and malfunctions if systems are not properly cleared and maintained. Regular maintenance for your fire and security system can have a variety of benefits. In addition to providing peace-of-mind that your system is fully operational, regular preventative maintenance can reduce expenses by preventing unbudgeted emergency repairs and costly false alarms. Gettle offers comprehensive preventative maintenance for security system and fire alarm solutions for companies of all sizes across the greater York, PA and Baltimore, MD areas. Our industry-certified team (NICET and ESA) will carefully evaluate your system and can provide regular cleaning to help ensure you are always protected. We also offer UL-listed inspections to ensure code compliance. When it comes to the systems that protect your business, don’t leave anything to chance. Connect with Gettle’s fire and security experts to discuss preventative maintenance solutions.